China’s Internet finance industry has boomed in recent years. The country leads the world when it comes to total users and market size, and fintech startups are mushrooming. China contributes to some of the world’s largest investments in the fintech sector, and now hosts 9 of the 27 fintech unicorns. The likes of Alipay, Lufax and ZhongAn Insurance have made their names across the globe and grown in reach and popularity by developing some of the most disruptive business models. 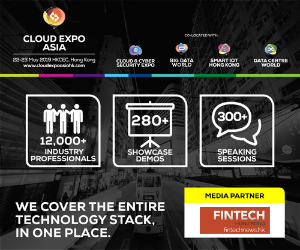 Arbor Ventures is a venture capital firm investing in early stage companies at the intersection of financial services, data and digital commerce, through partnering with founders, accelerating the growth of next gen fintech and bridging the Asian opportunity with a Western approach. Arbor Ventures operates from Hong Kong, Shanghai, Tokyo and Tel Aviv. It has invested in companies such as Lufax, Abra, Paidy, Akulaku, and 2C2P. Hatched in 2010, Nest runs corporate accelerator programs, invests in high-growth startups, and is building a global entrepreneurial community called Mettā. Nest focuses on early stage investments in startups developing technologies in industries that include healthtech, fintech and smart city. The firm is present in Hong Kong, Los Angeles, Nairobi, London, Bangkok and Bahrain. 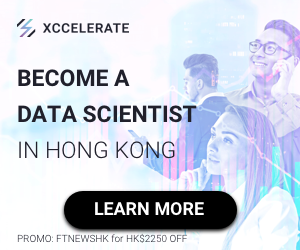 Based in Hong Kong, Horizons Ventures funds disruptive and technology-focused startups and manages the private investment of Sir Li Ka-shing in the technology, media and telecommunications sector. Some of Horizons Ventures’ latest exits are Skype, Siri, Facebook, Summly, and Waze. Fintech investments include N26, Friendsurance, Hippo Insurance, and Wefox Group. Legend Capital, a subsidiary of Legend Holdings Ltd., provides early stage venture capital and expansion stage growth capital investment. Managing up to US$700 million across four funds, Legend Capital focuses on driving high-growth ventures with operations substantially based in China or on markets related to China. Legend Capital’s fintech investments include Lakala, iPayLinks and Lancai. 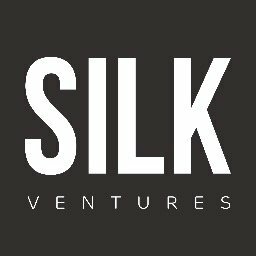 Headquartered in London but with offices in Menlo Park, Beijing and Shenzhen, too, Silk Ventures invests across all stages from Series A upwards. Silk Ventures is open to tech startups from any sector but has a key focus on deep tech and science, industry 4.0 technologies, such as Internet of Things and robotics, fintech and medtech companies. In fintech, Silk Ventures has invested in the likes of Revolut, Remitsy and Billon Group. Sequoia Capital China is a venture capital firm focused on seed stage, mid stage, late stage, and growth investments. Formed in September 2005, Sequoia Capital China has offices in Hong Kong, Beijing, Shanghai, Guangzhou, Hangzhou, Suzhou and Shenzhen. It invests in a wide range of sectors from consumer services, energy, to financial services, and healthcare, and typically in Chinese companies. In fintech, Sequoia Capital China has invested in the likes of Toss, and JD Finance. Founded in 1992, IDG Capital was the first firm to bring foreign venture capital into China. Today, it works with private equity and venture capital fund managers, investment advisors and business entities from around the world. IDG Capital has invested in more than 600 companies and made over 150 exits through IPOs and M&A. It has worldwide offices in New York, London, Beijing, Guangzhou, Hangzhou, Hong Kong, Macau, Shanghai, Shenzhen, Seoul, Hanoi and Ho Chi Minh City and affiliates in Delhi and Bangalore. IDG Capital’s fintech investments include EasyTransfer, Circle, Bitkan, 100Credit, Ripple, and Wecash. 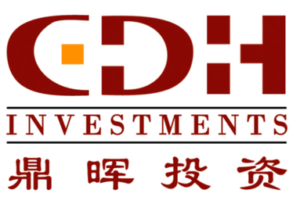 Founded in 2002, CDH Investments is a major Chinese alternative asset management firm based in Beijing. It specializes in private equity, venture capital and credit products. CDH Investments’ investor base includes sovereign wealth funds, pension funds, insurers, endowments, family offices and fund of funds from China, North & South America, Europe, Middle East, Australia and Asia. The firm invests across industries including information technology, media, innovative engineering technology, education, finance, clean technology, medical, and agricultural industry. 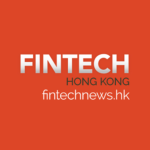 Fintech investments include ZhongAn, Lufax and Wacai. 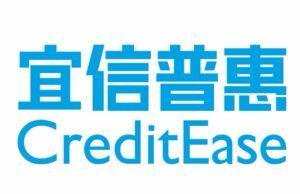 CreditEase Fintech Investment Fund is the venture arm of the firm CreditEase, and focuses on growth stage fintech companies in China and globally. CreditEase Fintech Investment Fund was recently ranked the third most active fintech venture capital firm in the world by CB Insights. Notable fintech deals include Circle, WeConvene, Tradeshift, Funding Circle, and Shenma Finance. Founded in 2014, Source Code Capital is an emerging venture capital firm in China with over US$750 million and RMB 3 billion worth of assets under management. 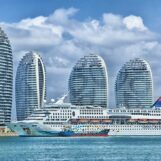 Investors of Source Code Capital are world-class sovereign wealth funds, foundations, pension funds, fund of funds and family offices as well as Chinese central government’s guidance funds and state-owned enterprises etc. Since its inception, Source Code Capital has focused its investments on three themes: “internet +” (internet finance, internet + industrial, internet + services), “AI-enabled” and “global +”. Source Code Capital has invested in fintech companies such as Nongfenqi, Huifenqi, ABC Fintech, Zichan360, and Qudian. SAIF Partners is a leading Asian private equity firm, currently managing over US$4 billion in capital. 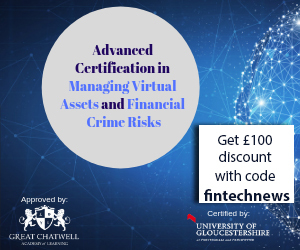 The firm makes privately negotiated equity or equity-linked investments across several growth sectors, in particular Internet, mobile Internet and IT. With over 100 investments since its inception, SAIF has become one of the largest and most active funds in the region. SAIF Partners has teams based in Hong Kong, China, and India. Portfolio companies include Aye Finance, Arman Financial Services, and Capital Float. MindWorks Ventures is a Hong Kong based venture capital firm that invests in early and expansion stage technology startups across Asia. 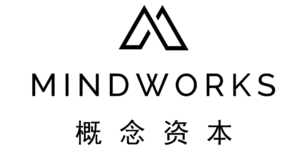 MindWorks Ventures targets disruptive consumer and enterprise technology, Asia-based early and expansion staged companies, and innovative infrastructure. It looks for companies that have the potential to build new ecosystems or reinvent industries. Portfolio companies include Lalamove, Qupital, Wonder Workshop, and ABC Fintech. China Growth Capital is a venture capital firm that invests in early stage consumer and enterprise tech in China and the US. The firm funds seed to Series B in fintech, enterprise tech and Internet consumer sectors. Since its founding in 2006, China Growth Capital has grown to manage RMB 8 billion in assets under management across its different RMB and USD funds. It is also one of the very few early-stage institutions in China with a well-known large seed program. Fintech investments include Tiger Brokers, 8 Securities, and Ximu Credit. Ant Financial Services Group, formerly known as Alipay, is an affiliate company of the Chinese Alibaba Group. 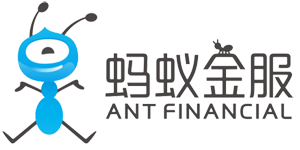 Ant Financial is the highest valued fintech company in the world, and the world’s most valuable unicorn startup, with a valuation of US$150 billion. Besides providing varied financial services, Ant Financial also invests in fintech companies with deals that include Kakao Pay, M-Daq and One97 Communication. Alibaba Entrepreneurs Fund is a not-for-profit initiative launched by Alibaba Group in 2015. The organization provides Hong Kong and Taiwan-based entrepreneurs with investment capital and strategic guidance to help them grow their businesses and penetrate global markets by utilizing Alibaba’s ecosystem. It established in Hong Kong a HK$1 billion fund and in Taiwan a NT$10 billion fund to support entrepreneurs in both markets. Profits generated from the growth of venture investments flow back to the Alibaba Entrepreneurs Fund for re-investment to ensure an evergreen capital source. Fintech investments include WeLab, CompareAsiaGroup and Qupital. Tencent is a Chinese multinational investment holding conglomerate whose subsidiaries specialize in various Internet-related services and products, entertainment, artificial intelligence and technology both in China and globally. Notably, Tencent operates messaging app WeChat, one of the world’s largest standalone mobile apps by monthly active users. Besides being one of the largest Internet and technology companies in the world, Tencent is also one of the biggest venture capital firms. Tencent’s fintech investments include N26, Go-Jek, and Futu Securities.